Do you miss listening to music live? 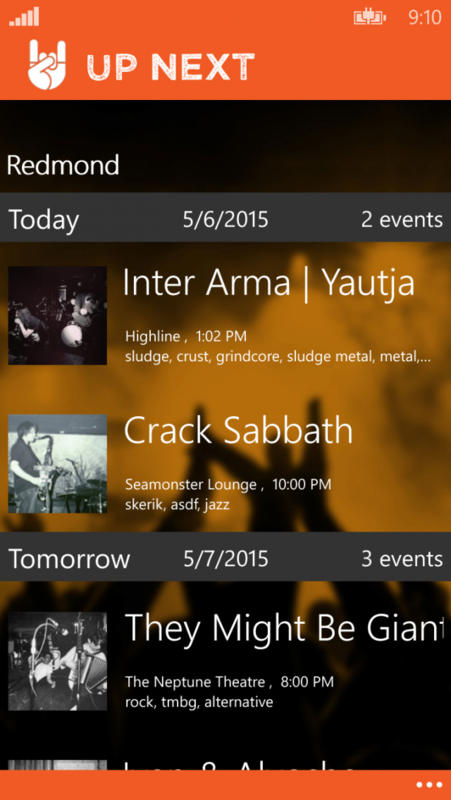 With UpNext, you’ll be able to find all the interesting live gigs surrounding you, no matter where you are. It’s the perfect app to use when traveling around new places or if you just want to find a new hangout spot with your friends. UpNext is equipped with key features to maximize your experience: calendered performances, music samples, artist biographies, gps directions, and album purchases. With new Windows phone app, you’re able to locate when and where live performances will take place, allowing you to experience music like never before, in places you never knew existed. With the simplistic design of new app, it makes it easy to navigate and comprehend; making it very user friendly. The thirty second sample music of bands performing in the neighborhood gives you a good sense of what to expect when seeing the bands live. Thirty seconds isn’t enough? On Xbox music pass, you’re able to listen to the whole song. If you like the music and think it’s for you, UpNext gives you directions to bring you right to the front door or you can purchase their album. UpNext is developed by Enough Software, who has over 10 years of experience in the app industry, proving that their apps are successful and here to stay. There are no other new Windows phone apps in the market similar to what UpNext provides to users. The unique purpose of the app to bring users to new gigs in new areas will surely make it popular. Exclusively available to only Window Phones, it can run on Windows 8.1 and up. 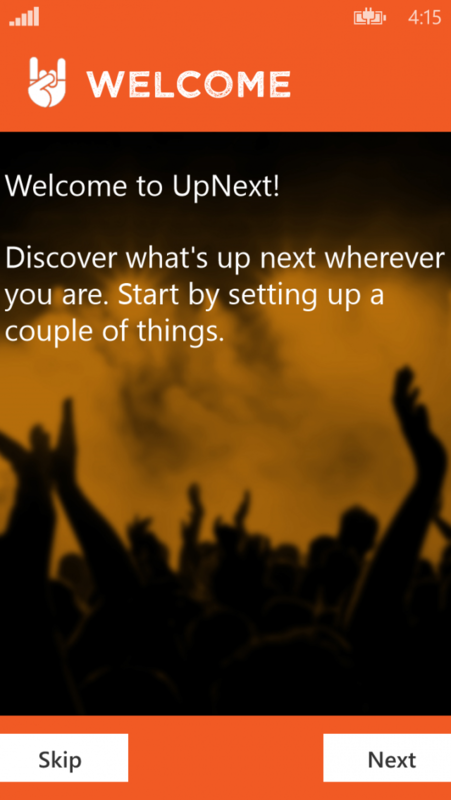 UpNext is looking for new Window app users to beta test it today! Want to see what all the hype is? Opt to beta test it here.